Creation and destruction are two sides of the same coin. From the ashes of desolation springs the bounty of new life. Nothing can escape this cycle, including gods. Odin has sought to cheat fate, going so far as to lose an eye to see what is to come. Alas, all his efforts have not allowed him or the other gods to escape their inevitable doom. Now Ragnarök has come and with it the end of all things. The only question that remains unanswered is who will rise from the ashes? 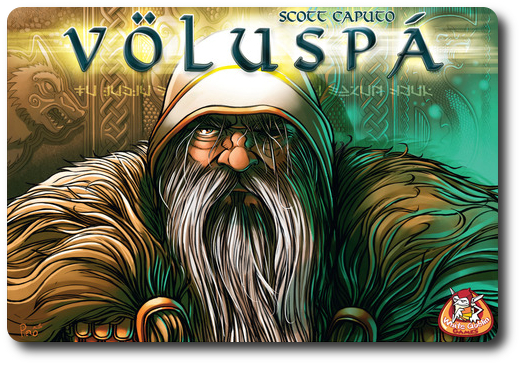 Völuspá, designed by Scott Caputo and published by Stronghold Games, is comprised of 6 “Odin” tiles, 8 “Thor” tile, 6 “Troll” tiles, 8 “Dragon” tiles, 8 “Fenrir” tiles, 9 “Skadi” tiles, 9 “Valkyrie” tiles, 6 “Loki” tiles, 1 Score board, 5 Score markers (1 per player), 5 “+50” tokens, and 5 “+100” tokens. The game also comes with the Völuspá: Saga of Edda game expansion which includes 5 “Hel” tiles, 8 “Hermod” tiles, 6 “Jotunn” tiles, and 6 “Sea Serpent” tiles. The tiles, “+50”, and “+100” tokens are made of thick cardboard. The Score board is mounted on thick cardboard, as well. The Score markers are made of wood. A very durable product and a beautiful one. The illustrations by Pierô are outstanding. Fun Fact: Völuspá is the name of an epic poem that tells the tale of creation and of creation’s total destruction. You can learn more about Völuspá by reading this Wikipedia entry. Note: The Völuspá: Saga of Edda game expansion can be included in the game or note, depending on the player’s preference. Personally, I suggest you play with the expansion all the time. Except where noted, the game set up and game play is exactly the same with or without the game expansion. To set up the game, first place the Score board, the “+5o” tokens, and the “+100” tokens to one side of the game playing area. Then have each player select a Score marker and place it next to the Score board. Any Score markers not selected should be returned to the game box. Any “+50” and “+100” tokens that do not match the Score marker colors selected should also be returned to the game box. Second, shuffle all the tiles face-down and put them in a pile that all the players can reach. Or, do as we do and dump all the tiles in the top of the box, give the tiles a good couple of turns with your hand, and call it good. The goal here is to randomize the tiles and provide the players a method for a blind draw. You can achieve that by putting the tiles in a box. It also saves on table space. Third, have each player draw 5 tiles at random. This is the player’s starting hand of tiles. Tiles should be kept hidden from opponents at all times until played. If playing with the Völuspá: Saga of Edda game expansion, give each player 1 “Hel” tile to create the first tile in their hand. 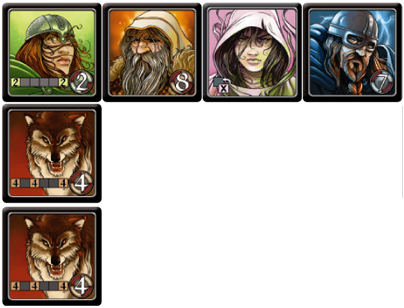 Players will then draw 5 tiles (“Hel” doesn’t count towards the tile hand size limit). Any “Hel” tiles that remain should be removed from the game. Fourth, draw 1 tile at random and place it, face-up, in the middle of the playing area. This starts the “tile grid” (my name for it) that all the players will be building on. If the drawn tile is a “Troll” tile, place it back and draw a new tile. That’s it for game set up. Determine who should go first and begin. Völuspá is played in rounds with no set number of rounds per turn. On a player’s turn, they have a very small number of sequential actions they take. A typical player’s turn is summarized here. The fist thing a player does is get ride of a tile in their hand. This can be done one of two possible ways. The first way is playing the tile to the tile grid. The tile grid is comprised of columns and rows. When placing a tile, it must touch at least 1 side f another tile already on the table (that’s side, not corner), and each row and column in the tile grid cannot exceed 7 tiles in length. Individual tiles also have a few rules about where they can be placed. I’ll explain that in the “Gods of Legend, Monsters of Myth” section. The second way to get rid of a tile is to discard it. Discarded tiles are removed from the game. Players do not have to show the tile they are discarding to their opponents. If a player placed a tile to the tile grid, they might have scored points. Players only score points if the tile they placed has a number value HIGHER than any other tile in the row or column it occupies. If the tile does have the highest value, the player counts the number of tiles in the row (or column) that is being scored. That number is the player’s score which is then recorded on the Score board. Of course, the many different tiles in the game slightly alter the basic scoring rules, making placement of each tile something to carefully consider and scoring oftentimes more than just counting tiles. Finally, the player draws 1 tile and adds it to their hand if they have less than 5 tiles. Again “Hel” does not count towards a player’s tile hand size limit. This completest the player’s turn and the next player in turn order sequence now goes starting with step 1 noted above. The basic rules of Völuspá can be summarized as follows: high tile wins. For the most part, this is absolutely true, but the gods and monsters depicted in this game are fickle and enigmatic. The basic rules are sometimes bent and oftentimes completely ignored when playing some of the tiles in the game. Each of the tiles, including those in the expansion, are summarized here. Note I use the term “summarized”. There are exceptions to every rule in this game. All tiles adjacent (vertically and horizontally) of the “Loki” tile have a tile value of 0. The game ends when the last tile is played to the tile grid. The player with the most points wins the game. To learn more about Völuspá, visit the game’s web page. Völuspá is a game that has a lot going for it right off the bat. Thematically speaking, Norse Gods are always an easy sell. Especially now with the Avengers and Thor Marvel movies. Visually, the game is very eye-catching and you can’t help but want to take a step closer to look at the tiles. Finally, the game play does not strike me as overly difficult to learn, but deep enough to keep everyone engaged at the table. As such, I think we’ll hear good things from the Child Geeks and the Parent Geeks. The Gamer Geeks are going to be mixed, I’m betting. While Völuspá does appear to have all the necessary qualities to draw in a Gamer Geek, I am not convinced the game’s depth will keep them happy. Teaching Völuspá is best done by giving a few examples of how the tiles connect and score. The rule book does a great job demonstrating this, actually, and should be used when offering visual examples. Also, and I don’t oftentimes say this, but I highly suggest you photocopy two pages from the rule book and make enough copies for each player in the game. Each tile has a little icon that kind of summarizes what special ability it has, but they are pretty vague. If you use the copied pages from the rule book as reference guides, you should expect your games to go smoother, faster, and best of all, be played by happier players. Note that this game doesn’t require reading and what little math there is only done when scoring. As such, younger Child Geeks who are just now learning how to read and count should be able to play Völuspá with some assistance from an older sibling or Parent Geek. And so, after teaching Völuspá to my two oldest Child Geeks (my youngest had little interest), I asked them their thoughts on the game so far. Völuspá is very inviting. It’s visually appealing and its simplistic game play (pick a tile, play a tile, etc.) 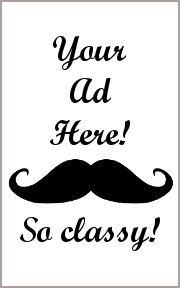 is approachable for both new and veteran players. But is the game fun? Let’s get Völuspá to the table and see if we create an epic saga of awesomeness or this game isn’t even worth whispering about. The Child Geeks had a lot of fun with Völuspá, especially when they had the “cheat sheet” near by to reference. This turned out to be one of the best additions to the game and I’m surprised a “cheat sheet” of some sort wasn’t included in the game box. It’s impossible for young players and new players to remember all the different ways the tiles can score and how they score is all important when determining what tile to play. It’s like telling a player to roll the dice but never explaining what the values mean. That leaves players stuck and bewildered. Luckily, none of our Child Geeks ever felt anything other than joy and disgust regarding another player’s tile placement. According to one Child Geek, “I really like this game. It’s fun skunking your opponents and grabbing the last points in a row.” Another Child Geek said, “I feel like this game can be played and won by anyone.” Now that is a good point. Players do have to think about their tile placements, but there is always an opportunity to score points or set up for points. When the games were over, all the Child Geeks voted to approve Völuspá. The Parent Geeks also used the “cheat sheet” a great deal and demonstrated a much deeper and tactical understanding of the game. Where the Child Geeks were placing tiles to always score points (not a bad strategy), the Parent Geeks appeared to be setting up combos and working multiple rows and columns. According to one Parent Geek, “A fun little game. Nice and light with just enough complexity to keep you thinking.” Another Parent Geek said, “I like this game. 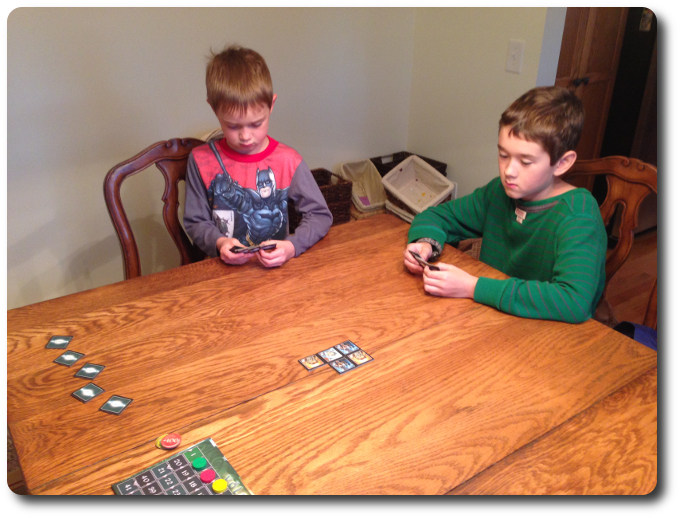 It’s easy to learn and can be played casually.” All the Parent Geeks voted to approve Völuspá. The Gamer Geeks were mixed, as predicted. Some of the Gamer Geeks thought that Völuspá was an excellent example of a light game that is best played as a filler, an opening game, or as a closing game. According to one Gamer Geek, “Völuspá is pretty fun, but not a game you plan around. It’s the kind of game you bring because you know players will enjoy it, but it won’t take all evening to play.” Another Gamer Geek said, “This game makes you think and it’s never the same game twice. Makes it difficult to develop a strategy, but I like that I am always presented with a new challenge.” But, as I said, Völuspá was not enjoyed by everyone. According to one Gamer Geek, “I find the game redundant and shallow. I’m given random tiles that I must try to use to score big points? Why? I should always just score points, no matter how small. There’s no incentive to work or think in this game for something big.” Another Gamer Geek said, “The score board should tell you everything. See how everyone has more or less the same points? I don’t like that. It means the game is on rails and the winner just happens to be the luckiest player, not the best or most creative.” Völuspá failed to win over every Gamer Geek, but it was loved as much as it was disliked. Völuspá is a nice game for starting the gaming evening or whenever you want a light and casual game to play with friends. It’s easy to learn, but the scoring can be sometimes a bit confusing for new players. Luckily, the learning curve for Völuspá is so small that only a few examples of scoring whilst playing is all that is needed to bring a player up to speed. Völuspá is a game about setting up and taking points. Players must optimize the rows and columns without letting the other players know what they are doing. That can be downright difficult when a player is just randomly placing tiles. Which introduces an element of chaos in what should be an otherwise straightforward approach to getting points. Not the case at all, however, and players who look to score the big points will oftentimes find themselves disappointed. But that bitter taste of disappointment is at the heart of the game’s challenge. Each tile is worthless until played and its overall worth will ebb and flow as the rows and columns around it grow. Players are, essentially, making choices now that will impact all the players later. The full force of that impact is never really known until the very end of the game. That’s pretty neat, but it also makes it impossible to learn anything from previous plays. Players can only make choices based off what they currently see in front of them and what they hope will be there during their next turn. Which is most likely why Gamer Geeks were mixed about Völuspá. The game’s subtleness comes off at times a bit hollow. Laying tiles for points over and over again without any semblance of strategic foresight or tactical objective other than “score as many points as you can” is immediately a redundant exercise. For some gaming elitists, that’s the kiss of death. For others, it just means the game is light, casual, and won’t take too much energy to play. Can a game be both good and bad? Most certainly when we consider terms like “good” and “bad” are subjective and deeply rooted in personal experience. In the end, it’s all based on personal preference. As for me, I welcome the game to my table and look forward to playing it again. I suggest you give Völuspá a try and see if you want to sing its praises or jeer about its faults. 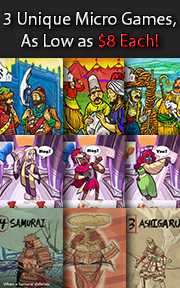 Tagged Abstract Strategy Games, Child Geek Approved, Mythology Games, Parent Geek Approved. Bookmark the permalink.